Since we moved to the East Coast, we’ve been trying to explore the area by taking mini trips and by experiencing new activities. 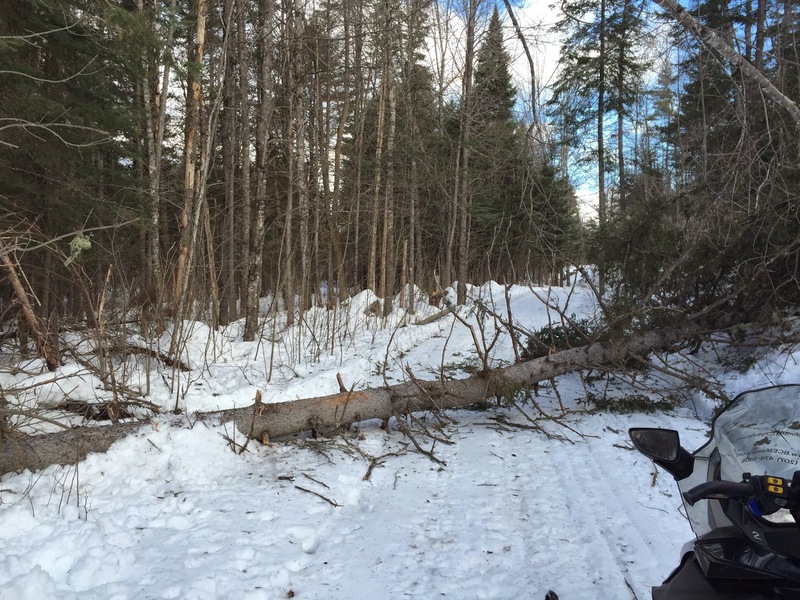 When we went white water rafting in Maine (click here to see the post), we noticed Northern Outdoors (click here to visit their website) offered snowmobiling in the winter. Because I love roller coasters and going fast, we thought it would be fun to give it a try when Sean came for a visit. Snowmobiling was a great experience! 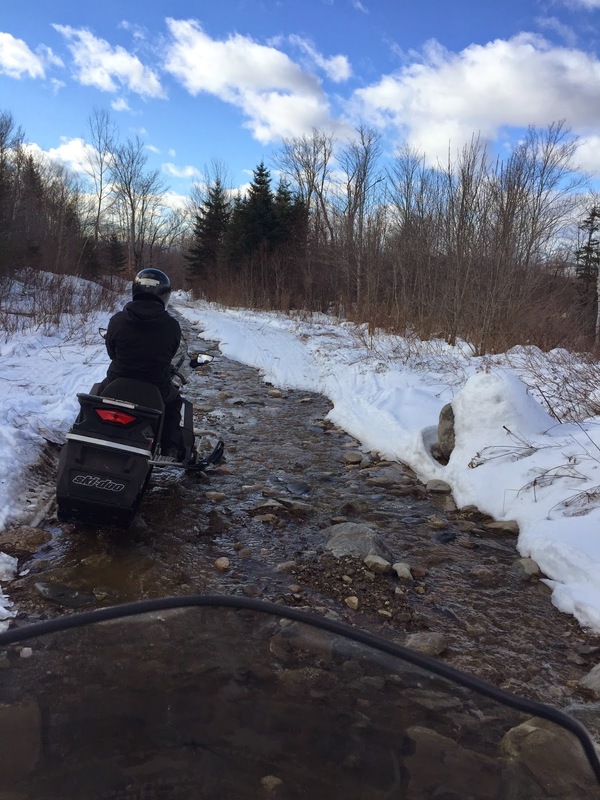 We drove to Maine the day after Christmas, arrived around 9:00 a.m., received a quick tutorial, and were riding snowmobiles by 10:00 a.m. We started off going slowly, especially when crossing small creeks, but soon sped up and had a blast! We followed the trails, ate lunch at a local restaurant, had a snowball fight, and spent the rest of the afternoon exploring the area. After a long, exhausting day, we returned to the lodge, ate a hearty dinner accompanied by house-made beer and crashed in a rustic cabin. My only suggestion to beginners is to hire a guide since the map provided isn't to scale and since the trails aren't always clearly marked. Other than that, have fun!